I’m debating trying a single edge razor, and both of these offerings are looking pretty good to me from their online pictures and reviews on the websites. One of them is available from Classic Shaving, the other from Bullgoose. 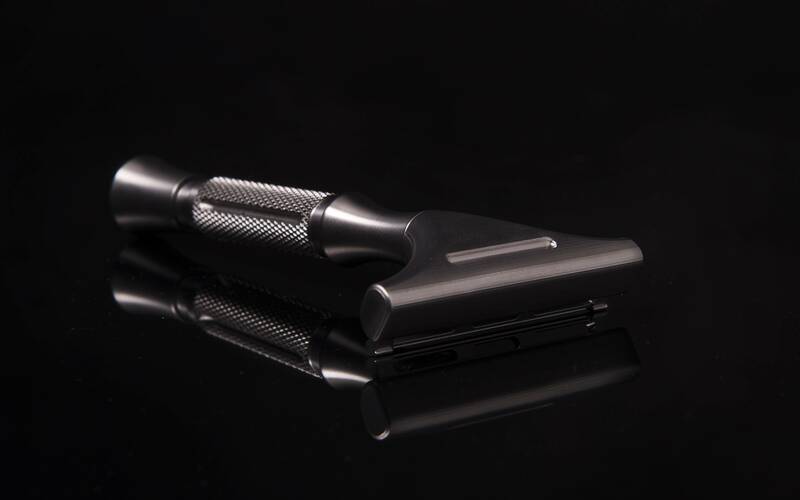 I realize this forum has connections to one of the sites, but I was trying to figure out some honest opinions about the differences between these two razors. I can’t find really any videos comparing the two or even any featuring the King Cobra at all. Thanks, all, for any feedback you might have. In terms of quality of materials and construction, I see the Rx as far better. The Cobra has a brass head and metal handle, both of which are plated. The Rx is machined from stainless steel. You may want to review this recent thread about the experience one of our members had with the poor poor quality of a King Cobra, and the horrendous customer service from the vendor. As Ricardo mentioned, The Rx is machined from SS while the cobra is chrome plated brass. While I haven't used the Rx, I can already tell you that the material quality is most likely superior to that of the Cobra. I've had many cobras classic and king razors, only one had quality issues as far as the locking mechanism. That's really the only part that can possibly fail. Other than that it's an AMAZING razor. Gives a wonderful shave and with a Kai blade it's VERY efficient but yet very smooth as well. I wholeheartedly recommend getting a cobra, however i would go for the Cobra Classic not the king, it's more agile and lighter and also less bulky. Looks wise both are beautiful looking razors as a matter of fact very similar looking. When I acquired the Cobra 3 years I and ended up selling all my razors, used it exclusively for one year and now I only have one other razor that use equally as much as the Cobra. Thanks everyone for the replies. I didn’t know the pass around had both razors in it. Thanks, Mike, for the link to that. My experience with Classic Shaving was reasonable in the past; not sure about the new management. Sounds like the fellow in the other post was having some issues with their acknowledging that the razor they sent him was a bit defective. That’s a shame. Perhaps they were new to the business and are still getting the hang of relating to wet shaving customers in a more congenial way. I read many great review of Cobra SE, but I could never get myself to pull the trigger and purchase one, mostly because of its design and materials it is made of. The moment I saw an Rx, I knew that regardless of its shaving characteristics, I will have to have this razor. I bought an Rx shortly after they were released and I never had an inclination to part with it. In my 15 modern safety razor collection the Asylum Rx is one of only two SE razors, the other being Sabre L2. My Rx is the most aggressive razor in my den (excluding straights) and shares the first spot in efficiency with my Blackbirds. It is perfect for me when I have 36hr (or longer) growth and provides absolutely exquisite shaves. Design and manufacturing quality are TOP notch and in the same league as Wolfman, BBS - 1 and Paradigm Ti. I just ordered my Asylum RX and can’t wait to use it. The look of it just speaks to me. I have a King Cobra and it is a fine shaver too, I guess I am always wondering “what if” when I see the Asylum. I got the black finish. (12-25-2017, 02:26 PM)jphilip Wrote: I just ordered my Asylum RX and can’t wait to use it. The look of it just speaks to me. I have a King Cobra and it is a fine shaver too, I guess I am always wondering “what if” when I see the Asylum. I got the black finish. If you don’t mind posting your thoughts here after you get it and start using it, that’d be awesome. It’d be nice to get a fresh perspective from someone who’s owneda king cobra for a while. I have the Cobra Classic, King Cobra ( I put a Barbaros handle on it) and the Rx. I had poor customer service from Classic also but in the end they did give me a partial refund. I enjoy the classic the best but the Rx is very close behind, it is just more aggressive so I have to be more methodical with my shave. If I had to start over again I would just own the Rx it’s better built and customer service is excellent! (12-28-2017, 07:11 PM)Shavemd Wrote: I have the Cobra Classic, King Cobra ( I put a Barbaros handle on it) and the Rx. I had poor customer service from Classic also but in the end they did give me a partial refund. I enjoy the classic the best but the Rx is very close behind, it is just more aggressive so I have to be more methodical with my shave. If I had to start over again I would just own the Rx it’s better built and customer service is excellent! Thanks for your thoughts as someone who has used all of these. Much appreciated! It has arrived. I’ll take it out for a spin tomorrow morning. Only the Rx has remained in my rotation (mechanisms on the other two started to wear out, give them away). 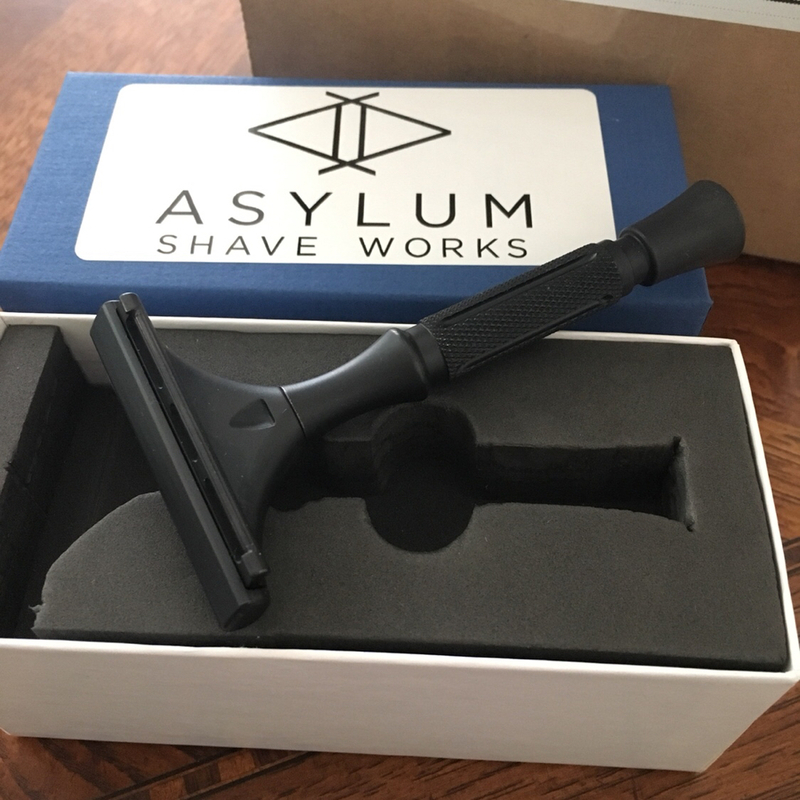 I shaved with the asylum RX for the first time this morning that I have to say that was a pretty positive experience. I used a Schick Proline blade and eBarbershop sandalwood with a boar brush. Aside from a small cut right under my nose which I’d chalk up to a learning curve, it was a pleasure. I like the feel of the handle - it has heft and balance. I’ll use a Kai Captain Titan next time to see if that is less aggressive. Two passes and a great result. I did observe that unlike many of the artist club SEs, it had two small nubs at each end to keep the deadest in place in addition to the regular notches for the holes in the blade. That didn’t seem to affect things one way or the other, unless 2 millimeters make a difference to you. I’d also echo what others have said that the audio feedback- the very sound of the blades- was quite evident, which is cool. sure looks purdy in black. The RX is calling me. 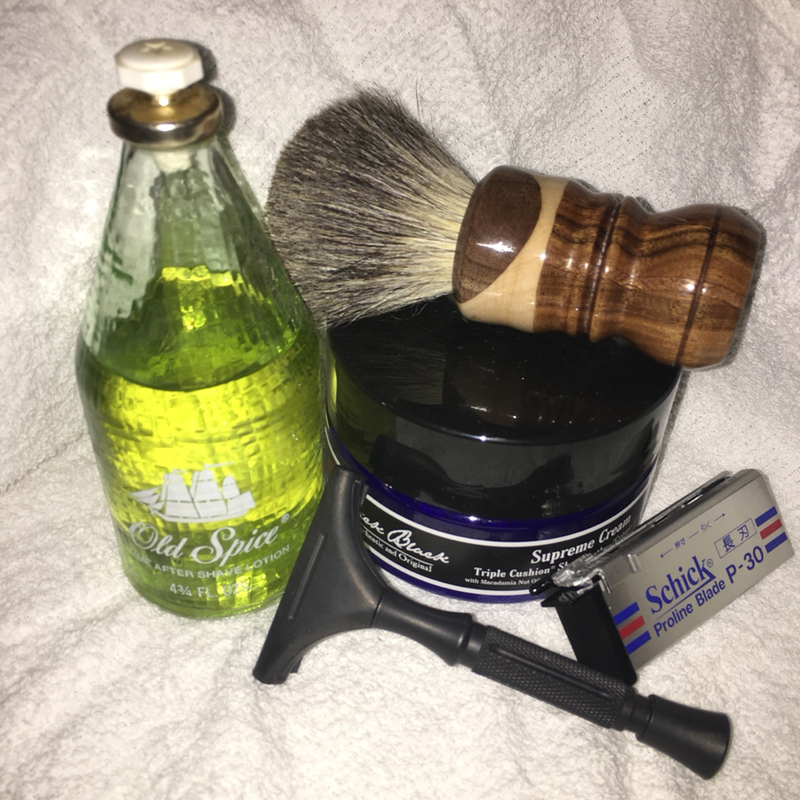 jphilip- sounds like a pretty good first shave. Thanks for posting your feedback. I like the idea of the latch free design of the rx—I feel like mechanically it would last longer if it became a daily shaver for me. The King Cobra in my opinion is the snazziest- looking, though...! I just like that black and chrome thing, I guess. After reading the posts on the faulty Cobras, I would not buy from the owners of Classic Shaving. You’ll see positive reviews for the Asylum Rx across the forums— not just this one. I’m glad I chose the black. It has a gunmetal patina to it, and it stands out from the rest of the metallic menagerie. Second time with the Asylum, this time with a custom badger from Shave Brush Jimmy and Jack Black. I stuck with the Schick Prolines. It was a pleasure. I won’t post about it again unless I have a new observation, but boy do I love the experience with this razor.